A musical triple-feature inspired by three monstrously true, behind-the-scenes tales of the most famous monster movies in cinema history! A musical triple-feature inspired by three monstrously true, behind-the-scenes tales of the most famous monster movies in cinema history! In 1920s Germany, director F.W. Murnau fears he may lose a lawsuit brought by the estate of Bram Stoker over his silent vampire film Nosferatu, which is suspiciously similar to Dracula. Will all of the prints be destroyed? In 1930s Hollywood, make-up man Jack Pierce works carefully to create the defining look for Frankenstein’s monster while trying to meet the demands of the studio. Will he get the credit he deserves? In 1970s England, actor Peter Cushing hopes to be able to finish the final British sequels to Frankenstein and Dracula before outside forces threaten to get in the way. Will his horror fans be disappointed? Will all of these men triumph while fighting for their art against the various demons they must face? As these famous monster makers each discover- -sometimes real life can be even more frightening than the movies! Act One - Germany, 1922. A lawyer's conference room in a courthouse. Act Two - Hollywood, 1931.The make-up room at Universal Studios. Act Three - England, 1973. A sound stage at Hammer Films. 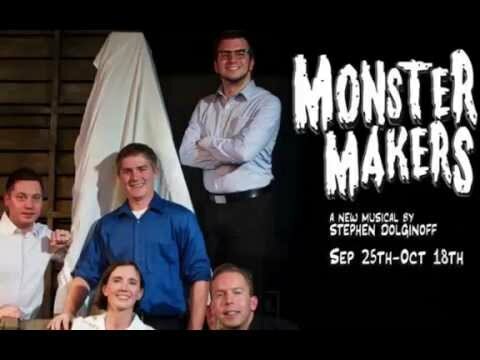 Monster Makers was first presented in New York City at the Daryl Roth Theatre on June 22, 2015. It was produced by New York Theatre Barn (Joe Barros, Artistic Director; Mark Montague, Managing Director; Laura Brandel, Artistic Producer). 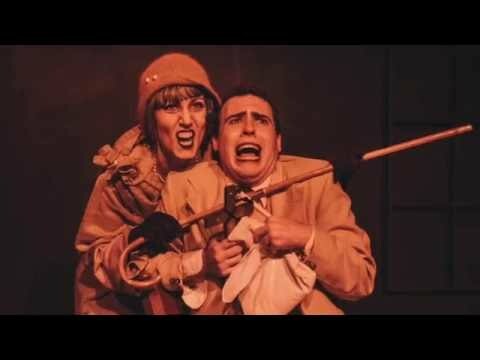 The performers were Stephen Dolginoff, Camille Diamond, John McVeigh, Leo Ash Evens and Zachary Orts.